Hall of the Mountain King: Review: Nightwish, "Showtime, Storytime"
The show starts off with a bang, quite literally, as the band rips through a special effects-laden performance of “Dark Chest of Wonders” which gets things started with plenty of flames, fireworks, explosions and, most importantly, energy. Jansen also makes an immediate impact with her stage presence as she steps up to the mic and nails it. Then it’s on to “Wish I Had an Angel,” where we hear her harmonize for the first time with Nightwish’s not-so-secret weapon, Marco Hietala, and they sound great together — a requirement for any singer of this band. But it’s when they get to the Imaginaerum material that I’m floored. Jansen rips through “Ghost River” with a bit of a darker feel than Olzon gave it. She plays the perfect foil for Hietala’s maniacal shouts on the chorus. But it’s not until “Storytime” that I’m completely sold. Jansen belts out the tune, my favorite from Imaginaerum, like it was written for her, bringing a raw energy to the song and putting her own touch on it, as she does with most of the tunes here. She also puts a bit of the Turunen soprano on it during the more symphonic moments toward the end. And that’s why I believe that Nightwish main man Tuomas Holopainen might have finally found the perfect voice for his vision. Jansen can hit the angelic highs of Turunen and deliver the rock ‘n’ roll snarls of Olzon, and she can do a heck of a lot more than that. As much as her voice, Jansen impresses with her stage presence, commanding the audience’s attention and appearing by turns innocent and naive, sultry and seductive, and fiery and energetic. A few times she even hits a bit of a wicked and scary note in her performance. But, of course, Jansen is not the only person on the stage, nor the only new member of the band. Troy Donockley, who has been involved with the band for five or six years, was recently made a full member and steps into a spotlight on this DVD. When was the last time you saw a uillean pipe player get a crowd of 82,000 snarling metal fans dancing and bouncing up and down? It happens here on “I Want My Tears Back,” as Donockley shreds (can I use that word for pipes?) and gets a party going in the pit. After that, the band dips back into the Turunen era, and Jansen shows off her chops on favorites tunes like “Nemo” and “Bless the Child” before delivering a crowd-pleasing performance of the Olzon tune “Amaranth.” In fact, I feel myself finding a bit more connection with many of the songs here than I had going in. Then Hietala and Jansen deliver one of the more manic performances of the show on the angry, thrashing “Romanticide,” with Jansen matching Hietala’s intensity step for step. 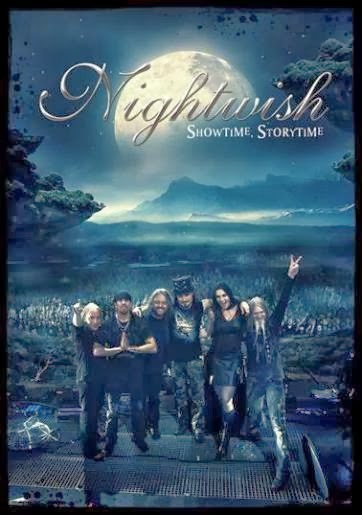 In all, the show captured on Showtime, Storytime is a tight, exciting and fantastic performance, and I walk away from it with a desire to go back and pull some of those older Nightwish albums out and give them another listen. 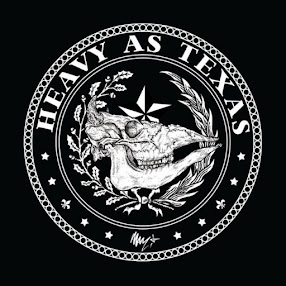 After years of being, at best, indifferent to the band, my opinion has slowly begun to change, and this DVD just might be enough to turn me into a full fan. I think there’s a great potential for what the band can do with Jansen on vocals, and I look very forward to seeing what Holopainen comes up with for her when they go back into the studio.